You just never know where actor Bill Murray may turn up. (CNN) -- Bill Murray dances to his own music -- or, it turns out, to a good hip-hop tune with strangers. The actor popped up at a birthday party in Charleston, South Carolina, over the weekend, getting down with the crowd to DJ Snake and Lil Jon's hit "Turn Down for What." 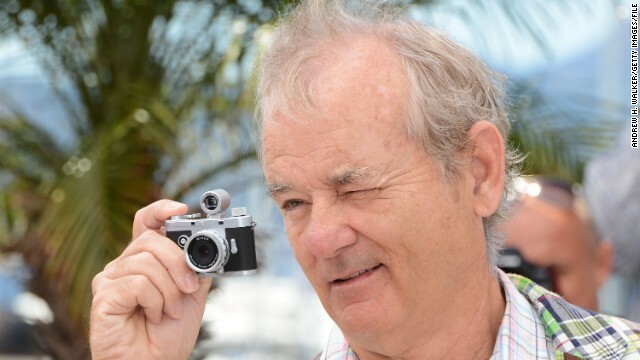 Murray is making as much of a name for dropping in on events as he has for some of his more more famous films like "Lost in Translation" and "Caddyshack." His appearance this time doesn't quite count as crashing, as it seems the birthday boy invited him through the party's chef, who is a friend of Murray's. The mercurial Murray didn't have to travel far -- he owns a home in Charleston -- for the latest stop on his ongoing comical mystery tour. For those keeping score, the funnyman has turned up at a Charleston bachelor party where he offered the groom some relationship advice, a Manhattan karaoke bar, a student house party in Scotland, a kickball game on New York's Roosevelt Island and an event at SXSW where he bartended, just to name a few. There's even a website dedicated to collecting Bill Murray stories, both the real and the fictitious (which, it turns out, sound a great deal alike). The Toronto Film Festival declared September 5 to be Bill Murray Day in part to ensure that he'd show up to promote his latest movie, "St. Vincent." Despite being an acclaimed actor, Murray has no agent or official representation and is not on social media. So good luck getting him as the cool factor at your next kegger unless you can do what execs have to when casting him in a Hollywood film: pick up the phone and give him a call. Murray's own birthday is coming up -- he turns 64 on September 21 -- but there's no word on whether he'll be having have a party that strangers can pop into.